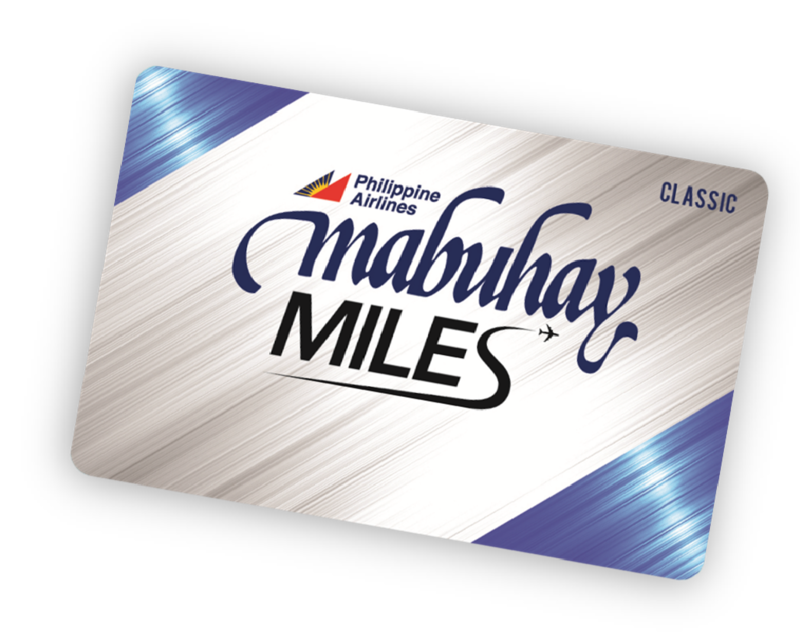 Fly with Philippine Airlines and earn Miles that can be redeemed for flights and service class upgrades to destinations of your choice. You may even share these with family and friends. You'll also earn Miles whenever you avail of the products and services of our program partners. Not yet a member? REGISTER NOW - it's free! Experience how life gets more rewarding with Mabuhay Miles.